Sometimes our family gets in a rut. We do the same things over and over, just go about doing every day life that we forget to stop and really look at what everyone has going on. Does your family do this? Every day is not full of new and exciting adventures over at our home but I have found that every day is a big day in the life of a teenager. There is always something going on from breakfast to supper all the way to bedtime! This is a sponsored post and my own tasty opinions are expressed here. No matter what we have going on, I have always encouraged my girls to start each day as a new day. If everything didn't go as planned yesterday, today is a new day. Treat today as a BIG DAY and make the most of it. The best way to do this new start of the day is to eat breakfast. I'm a huge believer that a breakfast can get you focused from the beginning of the day. One of our family favorite breakfast foods is a yummy bowl of Kellogg's Frosted Mini Wheats with milk. We love the crunchy, slightly sweet Frosted Mini Wheats! 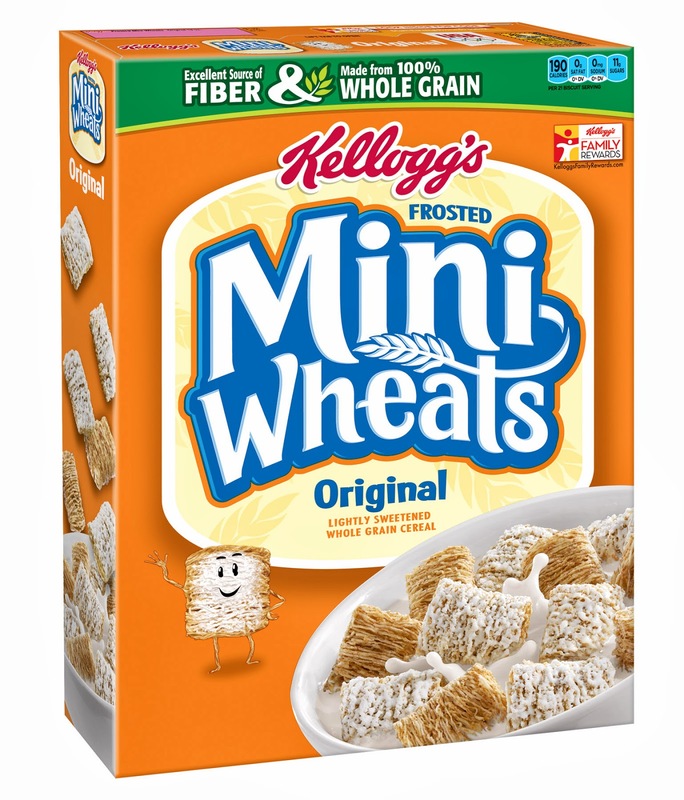 These little mini wheats pack a powerful punch of fiber and whole grains. What a great way to kick off the day with a full tummy! Besides every day being a BIG DAY and a chance to start fresh, there really are days that are extra special. Just recently my 14 year old had a BIG DAY which she kicked her way into testing and receiving her 2nd Degree Black Belt in Tae Kwon Do. This was a huge BIG DAY for her and our entire family is super proud of her hard work and dedication to get this far in her training. How do you tackle each day with your family? 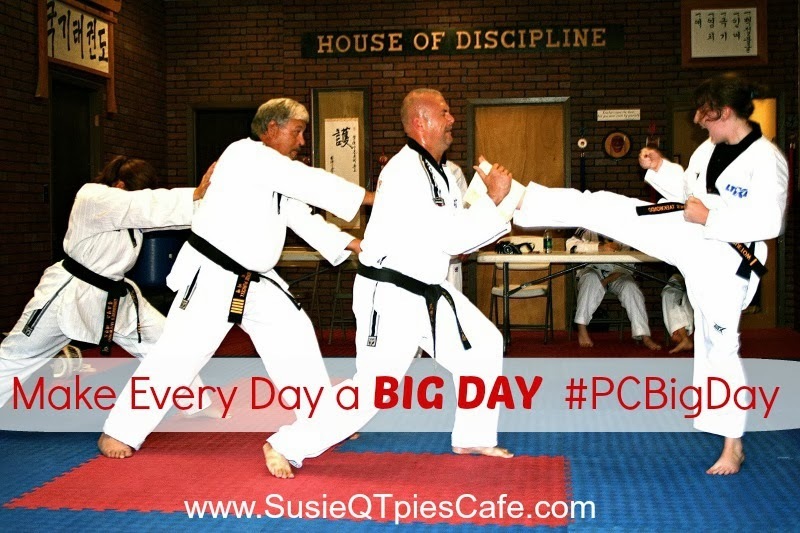 Do you think each day can be a BIG DAY? Now that summer is over and we are headed into fall take time to focus on something special each day with your kids. Send a lunch note or sneak a note into your kids backpack to give encouragement for something they have going on that day. Eat breakfast together as a family. Get the kids involved in family meal planning and let them pick a meal each week they want to eat. Let them help you in the kitchen to prepare the meal. Have a special plate that someone gets each day. Have it on a rotating schedule so everyone gets a turn to have the special plate. For those kids with phones, text them every day a special message. At dinner asking everyone to share something that they did at school. As a parent, if you have quick errands to run always make sure you take a kids with you. Rotate who goes but use that one on one time to make your kid feel special. Make an effort to do something physical every day with the kids. Good idea would be to go on a 15 minute walk after dinner. Go through the backpack every day. Don't miss anything your kids brought home. Keep a chore chart each week and let the kids help pick their chores. It is important that each kids feel a part of the family and contributes daily. 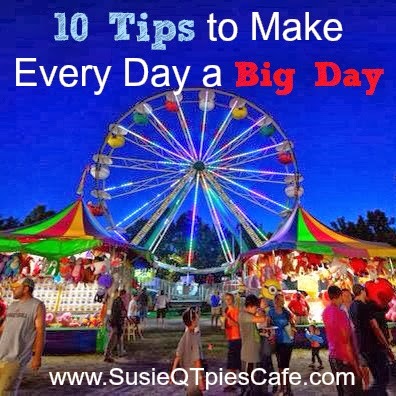 Need more BIG DAY tips and ideas? Stop on over and check out the BIG DAY tips over at Scholastic.